Buying a second property for the buy to let market has quickly become a popular choice for many people in the UK looking for a solid investment and a sturdy second income. Even with recent announcements of the tax relief on mortgage interest soon to be stripped, the UK rental property market remains an appealing investment option. If you are thinking about investing in a rental property in the UK, don’t let the potential changes in tax relief deter you from doing so. A second property can prove to be a worthy investment and, with a few considerations, you are sure to find the perfect property with plenty of profitable opportunity. To help you on your way, we’ve provided a list of 5 things to think about, before making the leap to buying your UK rental property. Having a thorough understanding of the market and any changes within it, is an absolute must to ensure a profitable purchase. Keeping up to date with any changes to tax relief, interest rates, or even the legal expectations from you as a landlord, can stand you in good stead with knowing what to expect when investing in your rental property. You might even find that after researching, you would rather invest your money into something different. Even if that is the case, you know your time has been well spent discovering that the rental market isn’t right for you. 2. Are you looking for a slow but secure investment? Are you looking to put your money into something that will guarantee a slow but steady profit? Property prices and values are notorious for rising and falling unexpectedly, so while you might benefit from say a 5% return on your investment in one year, you might not be so lucky the following year. Some people choose to keep their hard earned cash within a fixed rate savings account. While the interest rate tends to be lower than what you would normally expect to gain from a UK rental property, they do offer security. On the other hand, however, buying a rental property can be a fun and worthwhile way to spend some time and money, all whilst knowing that you have something to fall back on for future security. 3. Have you considered the different UK locations? 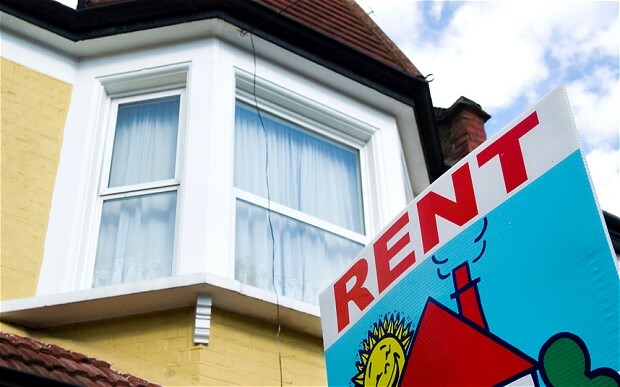 The rental market differs dramatically from location to location across the UK. Whilst the majority of residents prefer to own their own home in certain areas, in others, many more people see renting a property as the preferred option. Rental property in London, for example, can be very lucrative, as many living in the capital are looking to do so for the short term, with plans to invest outside of the centre in the future. With that in mind, whilst the price of property in London is much more costly than anywhere else in the UK, you know that your investment is a surefire way of making a profit in the long run. Think about your budget and which areas of the UK you could afford to invest in. From there, do a little research to see which of these areas have a popular rental market and make these areas a priority for your investment. 4. Do you have the right deposit? Investing in a property for yourself requires a smaller deposit than the buy to let market, so if you haven’t done your research into how much money you need upfront, now is the time to do so. While mortgage lenders tend to happily accept a 10% deposit for those looking to buy their next home, they will usually expect a 25% deposit for buy to let properties, at the very least. Not only that, but they will expecting some assurance that their investment in your property is one that will be secure. As such, they will be looking for your rent to cover well over the monthly mortgage repayments, at around 125%. It’s crucial that you have the right deposit in place before speaking to mortgage lenders, to ensure a smooth process into the UK rental property market. Instead of looking for a property that is perfect for you, why not think about the type of tenant you are hoping for and think about what they would want from your property? After all, they will be the ones living in the property itself. Therefore, to ensure that you gain a tenant that’s perfect for you, think about investing in a property that would be perfect for them. Are you looking to rent out a property to students? Location will be extremely important for them, and a clean and simple property that comes furnished, would be right for them. Or would you rather rent to a family? These tenants would probably prefer an unfurnished property that’s a little more homely, with plenty of room to grow and to add their own touch to. Providing the perfect property for your ideal tenants is more likely to secure a relationship with them for the long-term. With a little extra consideration for their wants and needs, you will end up saving plenty of time and money, without having to search for another tenant, should they decide to move on. Investing in a buy to let property can be a worthwhile investment for you and your future; all it takes is a little planning and preparation to make sure you get it right. Try not to get too excited about the prospect of owning a second property, and spend some time researching to have a thorough understanding of what will make the perfect rental property for you.